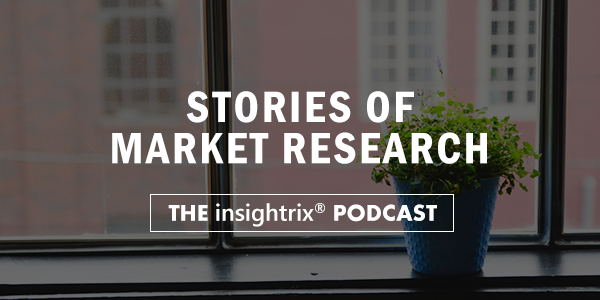 Stories of Market Research: The Insightrix Podcast is back with a brand-new episode of a brand-new season. Season 2 of Stories of Market Research opens with Episode 9 – Market Research, Digital Marketing & Small Business, in which we are joined by social impact entrepreneur, author and communications consultant, Katrina German. In our conversation, Katrina unpacks some of the tricks and strategies she has developed in her book, Action Tracking: Master Your Digital Marketing Strategy in Under 30 Days, to help small-business owners and marketers employed in small- or medium-sized businesses create digital marketing plans that will help them break through the digital clutter and stand out against the marketing of much larger businesses. We discuss the tools (like CRMs, social media applications and Google AdWords) that business owners and marketers can use to develop their own plans, as well as how they can use the data gathered from experiments with these tools to do their own market research to make their digital marketing plans and campaigns even better. We also discuss some of the more accessible resources available to SMB owners and marketers from market research agencies, like omnibus surveys or syndicated reports, and how they can use them. Later in the episode, Katrina German lays out some of the new trends that digital marketers can expect to see in the future, as well as some tricks of the trade that will help get digital marketing messages and content noticed. If you’d like more information about Katrina or would like to contact her, go to Katrinagerman.com. There, you’ll be able to find more out about the work she does, contact her or get more information about her book, Action Tracking: Master Your Digital Marketing Strategy in Under 30 Days. It’s a great resource for folks looking to either begin marketing their small business or to augment the digital marketing strategies they already employ. You can learn more about the Insightrix products and programs, like syndicated reporting and omnibus surveys, here on the Insightrix website. You can follow Insightrix Research on Facebook, Instagram and Twitter, and subscribe to never miss a new video on YouTube. You can also access Stories of Market Research: The Insightrix Podcast on your favourite podcasting app, like Apple Podcasts, Stitcherand Google Play Music.